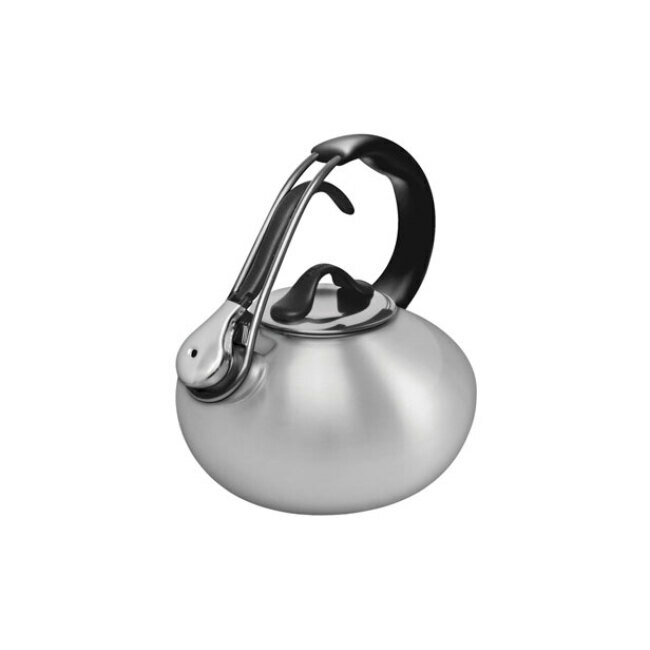 The Loop Teakettle has a distinctive Loop Handle that is easy to use and stays cool. Made of stainless steel. Size: 1.8 qt.